Because of their significance to pollination and the national food supply, it’s crucial that honeybees and other pollinating species receive more attention from the average person, especially attention toward the things contributing to their declining numbers. 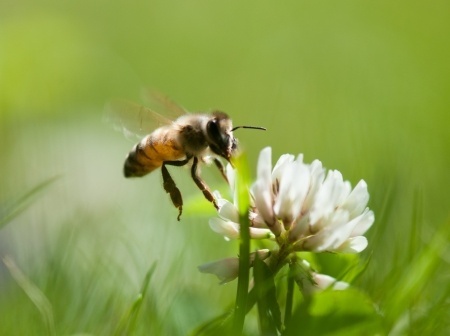 Whether it’s colony collapse disorder (CCD), diseases, malnutrition, pesticides, or lack of habitat, there is much hindering bees all over the country. Recently, many living in the state of New York saw rising bee die-offs and recognized the effects they could have on the people of the state. Many seem to believe varroa mites have a lot to do with it. Varroa mite infestation is a considerable problem in the beekeeping industry, in part due to large-scale pollination operations where honey bees are transported from one state to another to take advantage of warmer climates throughout the year. The state of California sees many colonies arrive and stay for entire seasons, and any mite invasions into colonies can spread very fast among confined transport containers bringing the hives back to their own states. It does not take long for one hive to succumb and collapse under the weight of a varroa mite infestation, leaving it open for other hives to come in and become infested themselves. Several surveys even indicated that many domesticated bee colonies in the state of New York—one even claimed 90 percent—have dealt with varroa mites. Luckily, for beekeepers in the industry and the consumers who rely on honeybees for food, steps are being taken to provide real preventative measures against varroa mites. Whether it’s research in breeding mite-resistant bees or something as simple as a “varroa gate,” which works like a dog collar for commercial hives, honeybees are receiving the helping hand they need against one of the suspected factors contributing to colony collapse disorder. Veteran Beekeepers: Novices Pose Greatest Threat to BeesNever Forget About Water – No Matter the Temperature!